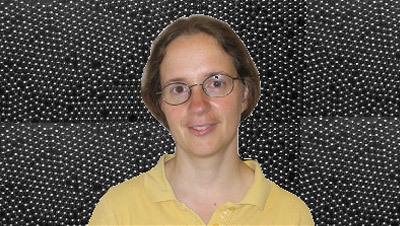 Professor Zieve is a condensed matter experimentalist. Her main research at present is on unconventional superconductors. These compounds have transformed physicists' ideas on superconductivity. While magnetism had long been thought to destroy superconductivity, these materials exhibit both effects, in some cases simultaneously. Even more surprisingly, their magnetic nature may well cause the electron pairing required for superconductivity. Their superconducting wave functions also differ from those of the conventional superconductors known through most of the twentieth century. At this point several families of unconventional superconductors have been discovered: organometallics, heavy fermions, ruthenates, cobaltates, iron pnictides and chalcogenides, and the well-known high-temperature superconductors. While they share some behaviors, each family has its own unique features as well, making the source of the superconductivity a complex problem. Professor Zieve's lab uses an unusual technique, uniaxial pressure, to tune samples across phase transitions. Resistivity, magnetic susceptibility, and heat capacity are measured under pressure, at temperatures from 60 milliKelvin to 200 Kelvin. Many of the unconventional superconductors have a layered crystal structure, with stronger interactions within the layers than between them, and their electronic properties hint at reduced dimensionality. Uniaxial pressure is a particularly good way to investigate the role of dimensionality: pressure in one direction drives the layers together to create a more three-dimensional system, while pressure in a perpendicular direction pushes them apart to enhance the low-dimensional nature. Other ongoing experiments monitor the motion of a single quantized vortex in superfluid helium and study the effects of grain shape on the stability of a granular heap.